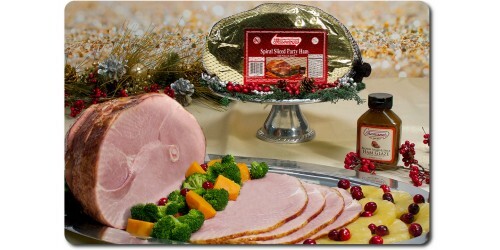 Thumann spiral hams make a wonderful holiday meal or the perfect holiday gift. 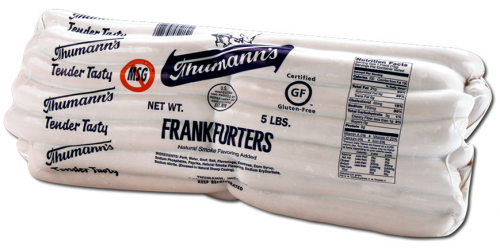 Our spiral hams are s..
Thumann's Signature Natural Casing Pork and Beef Franks are our best selling grilling hot dog.The..
Thumann's All Beef Franks are great on the grill. 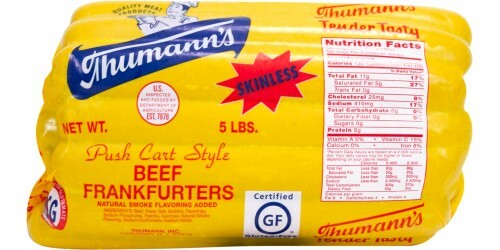 Cook them until the juices split the n..
Thumann's All Beef Pushcart Style Skinless Franks are excellent cooked in water. 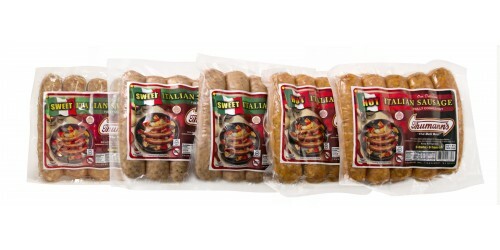 Simply bring .. 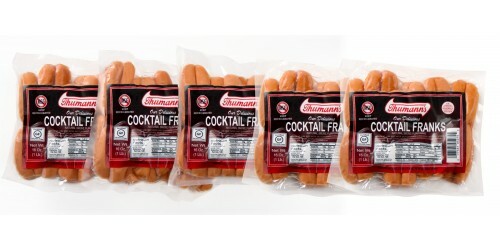 This combo contains 5 single pound Thumann's cocktail franks. 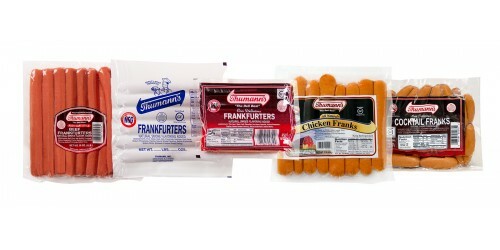 These are a fun snack when wrapp..
Our German pack is a combination of 2 lbs. 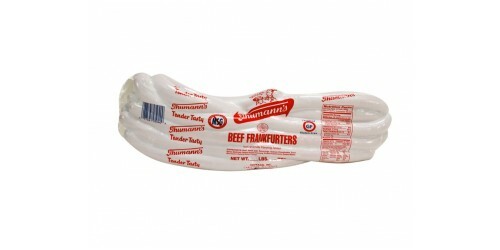 of our delicious smoked Bratwurst and 2 lbs. of nat.. 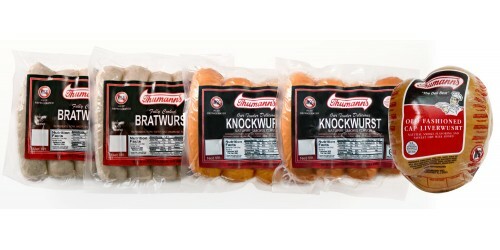 Enjoy a variety of our classic and favorite hot dogs delivered right to your door. Included are Thu.. 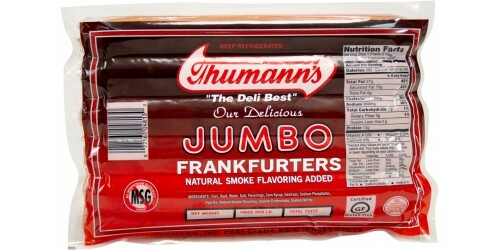 This combination package contains best selling 3 Sweet Italian Sausage and 2 Hot Italian Sausa..
Thumann's Jumbo Pork and Beef Franks are quarter pound hot dogs for those who want more hot dog than.. 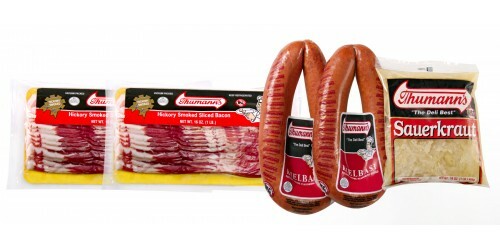 This combination pack includes 2 one pound packages of Thumann's bacon, 2 one pound vacuum packed Ki..